How this couple met is a real love story. Iria travelled to Cáceres to study her final year in Law where Fran then met her through a friend, and little by little they got to know each other. 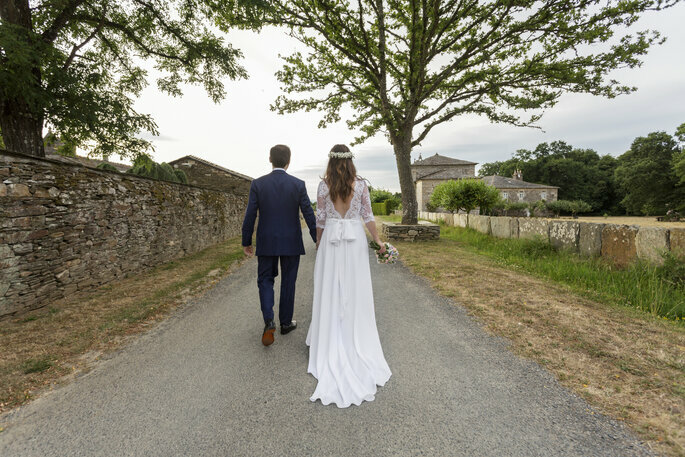 Things got a little tougher when Iria had to return to Lugo, but it wasn’t long before the couple decided that they needed to be together, and reunited in Madrid. 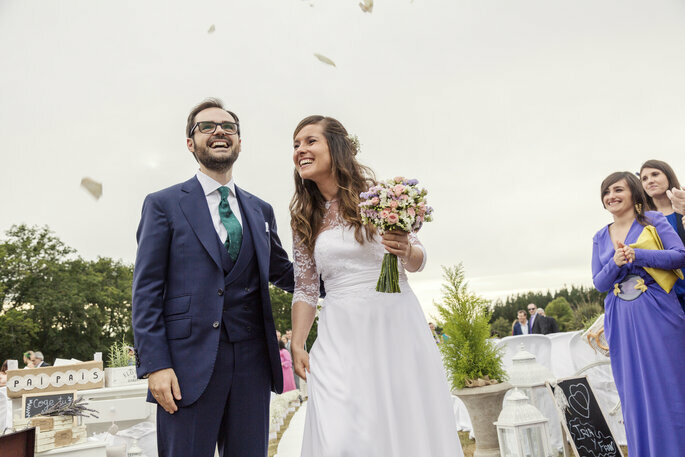 The couple recall how it was so clear to them that they were meant to spend the rest of their lives together, and after ten years of dating each other, they decided the big day would be 18th July, in Lugo! 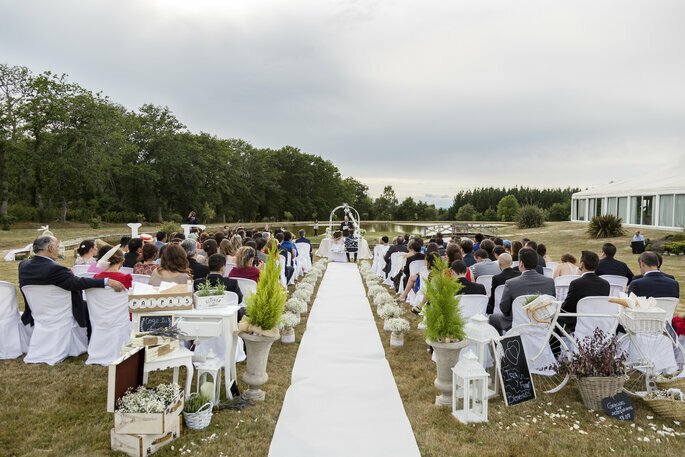 The ceremony took place on the Val do Soños farm whose owner is renowned in the area. 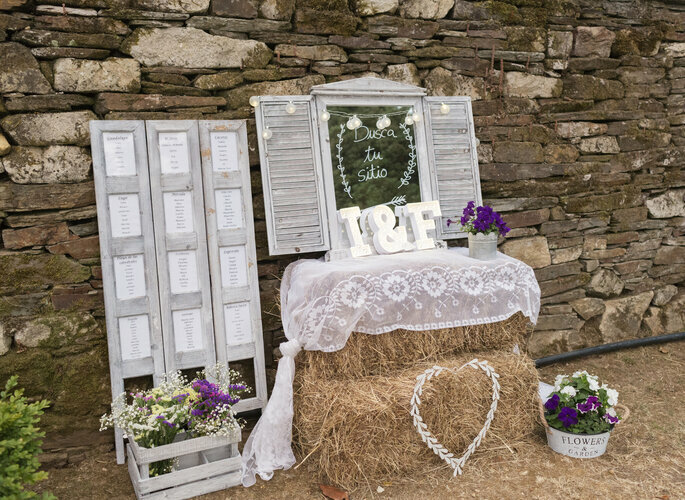 Iria and Fran were really keen for all their guests to enjoy a truly Galician wedding. 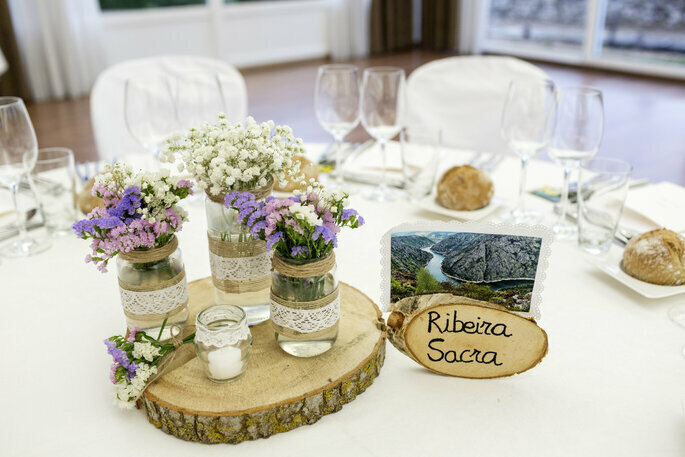 The views of the Galician countryside were wonderful and the celebrations were full of incredible moments of laughter and happiness all round. 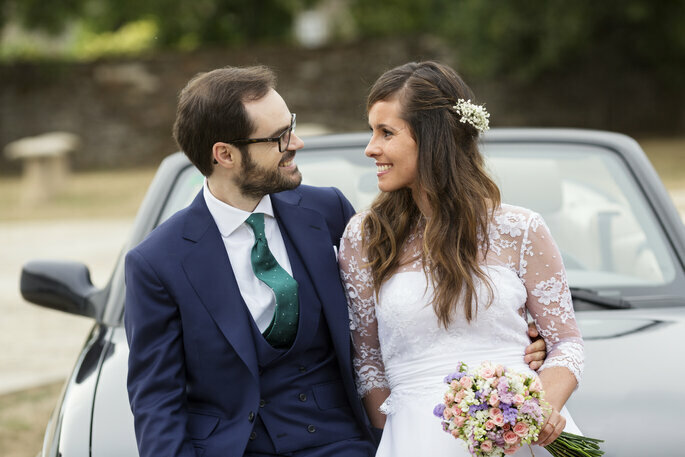 Iria is a highly creative person and is the kind of girl who knows what she wants, and that’s exactly why she chose to design her own wedding dress! The end result was spectacular. The dress was made out of chantilly lace and had a classic yet flattering cut. Of course the dress was an absolute show stopper with its simplicity and elegance, and was admired by everyone! 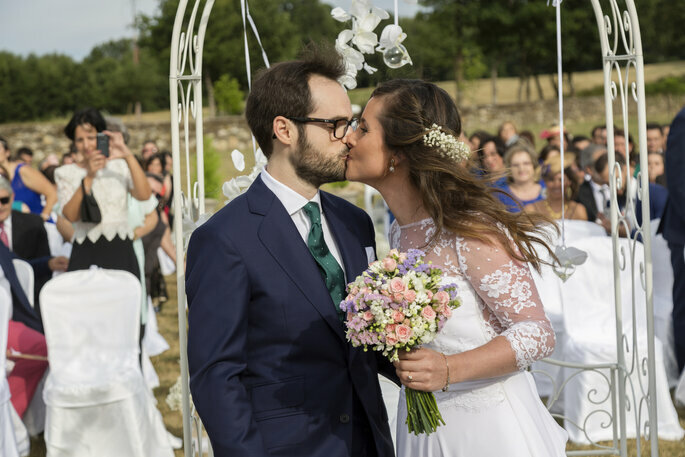 Iria’s choice of bouquet was equally delicate and romantic and was made up of a variety of different flowers to give it a natural and rural feel. 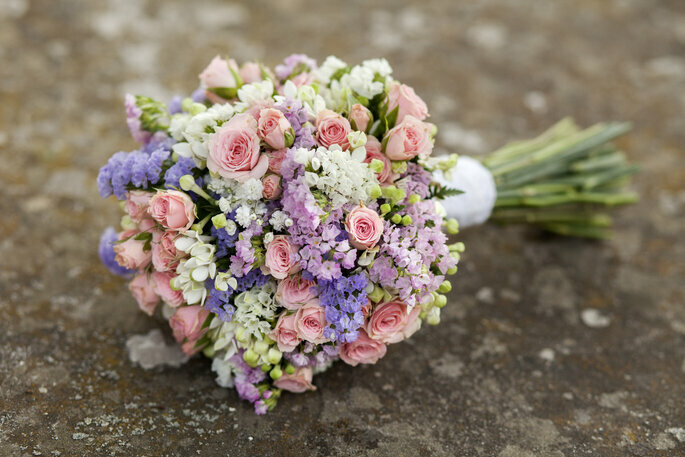 Take note: if you would like something similar for your bouquet, get in touch with D´Carmen Diseño Floral who put together this floral masterpiece. 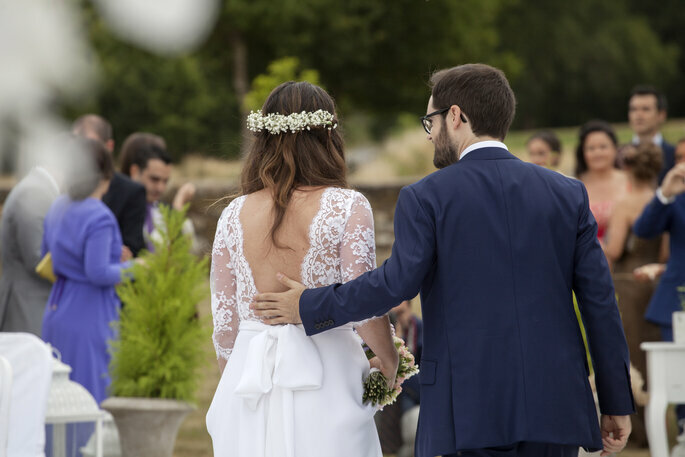 To add a little sentimental touch, Iria wore her grandmother’s bracelet that she had worn back in 1942, as a little way of remembering her on her wedding day. Alfredo Bongianni was the photographer for the couple. 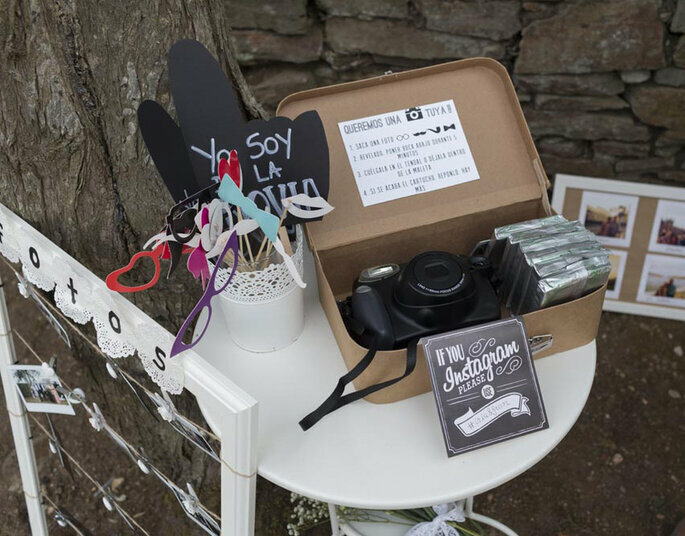 As you can see here, he made it his mission to take some wonderful photos to make Iria and Fran’s day, unforgettable! 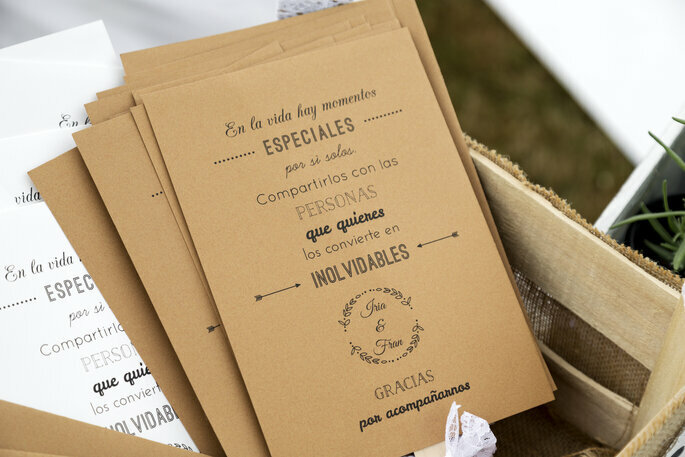 D´Carmen Diseño Floral was also in charge of decorating all the spaces too. They did a wonderful job, making sure that every corner was full of charm. 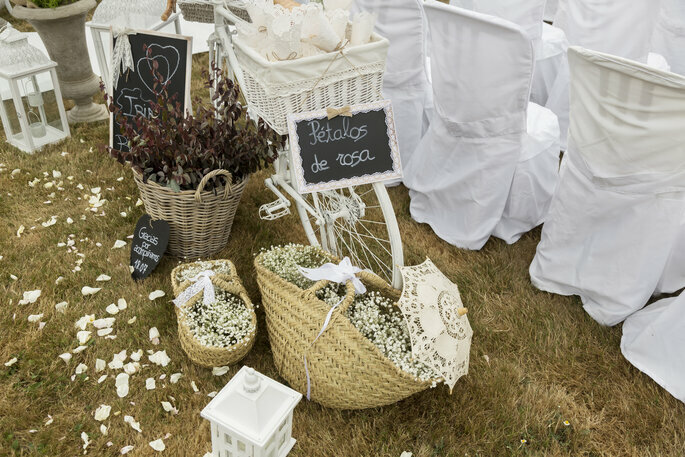 They also added a few vintage touches such as an old-fashioned bicycle to create an extra romantic feel. 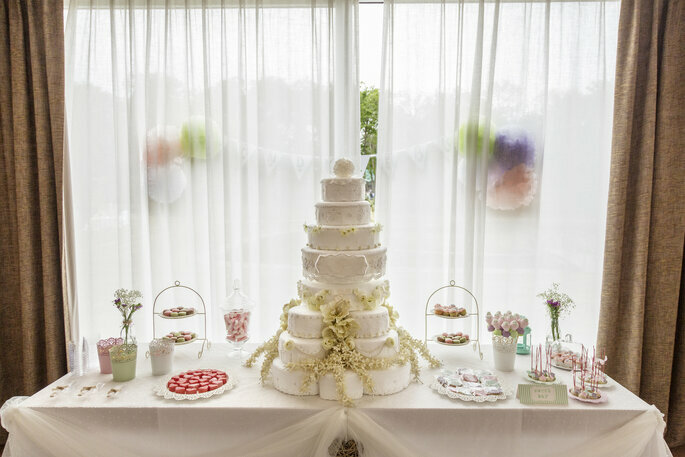 This was a wedding full of carefully considered details that all came together to create a wonderful ensemble. The banquet was certainly a special part of the celebrations. 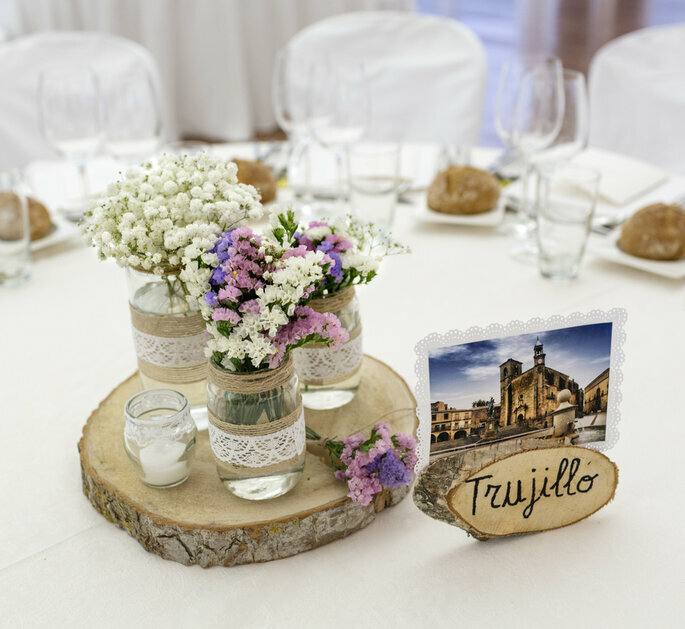 The catering was organised by La Palloza who provided a fabulous menu consisting in all sorts of Galician specialities, with plenty of delicious seafood dishes featuring! 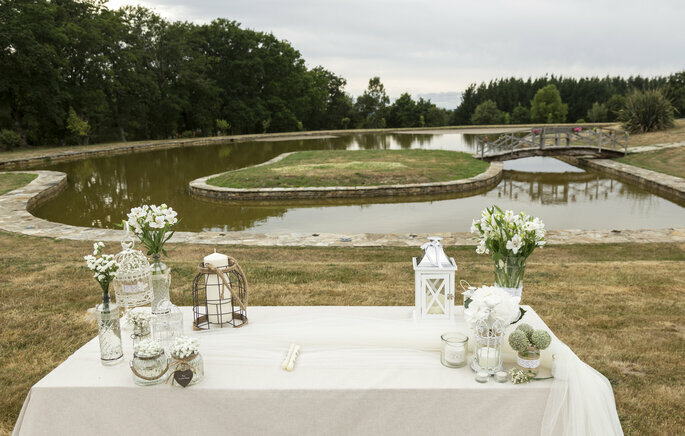 The couple really had thought of everything and gave each of the men a little bottle of Chic Gin Premium put next to their place setting, whilst the women received a little bracelet designed by Iria, made with silver and pearls with the initial of each female guest set into the bracelet. The bracelets were made by ‘Bolboreta by Iria’, a little online boutique that has a whole range of original designs! 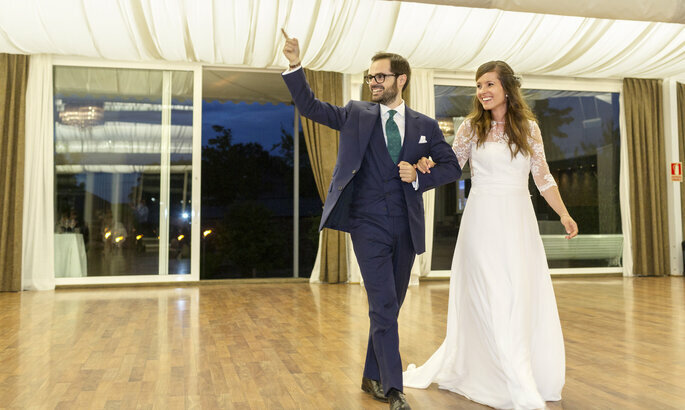 For the evening’s celebrations, DJ Eventec opened the dance floor with some dance classics which continued long into the night, making the evening unforgettable for the couple and all their guests! 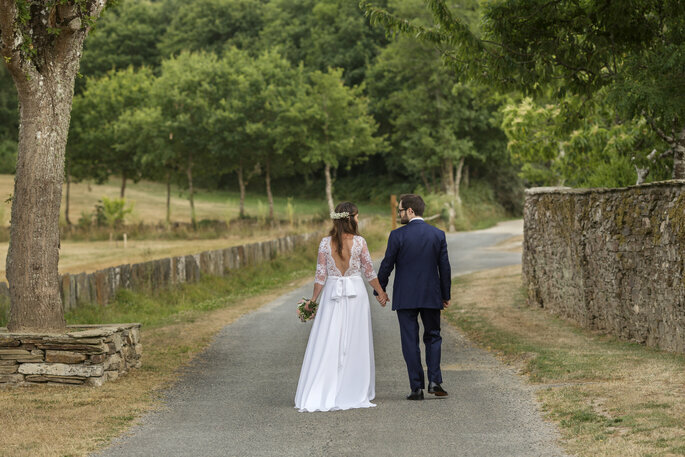 Here’s to Iria and Fran and their wonderfully Galician and original wedding! 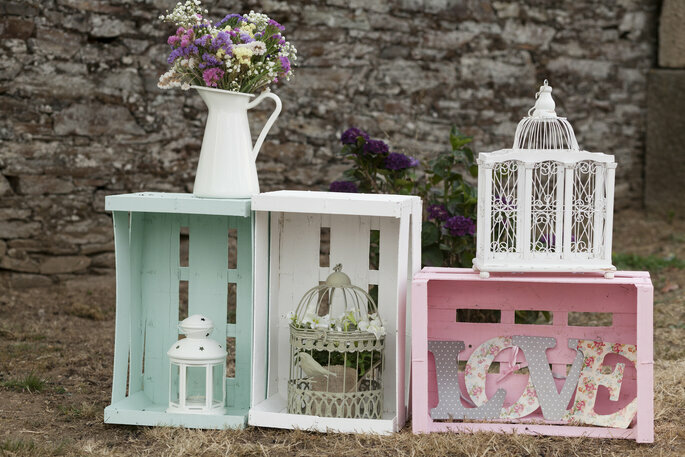 Click here for more Real Wedding inspiration!